w/ Television Boys! Buddies! Electric Fan! + Godzilla will be DJing! w/ Raydios! Firestarter! Test Patterns! The Chance! コード! 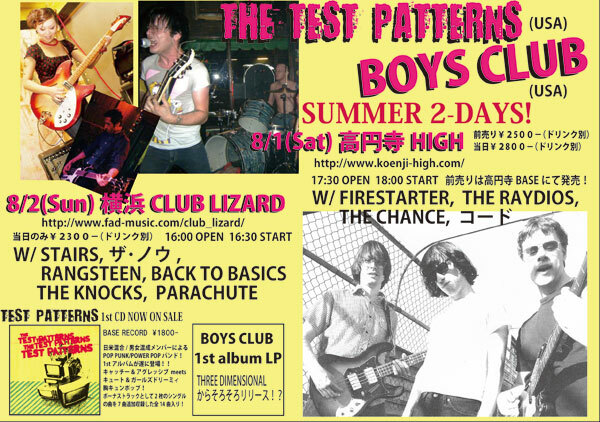 BOYS CLUB’S LAST SHOW EVER w/ Stairs! ザ・ノウ! Rangsteen! Test Patterns! Back to Basics! Knocks! Parachute!
" Have A Fun Tonight Alright "